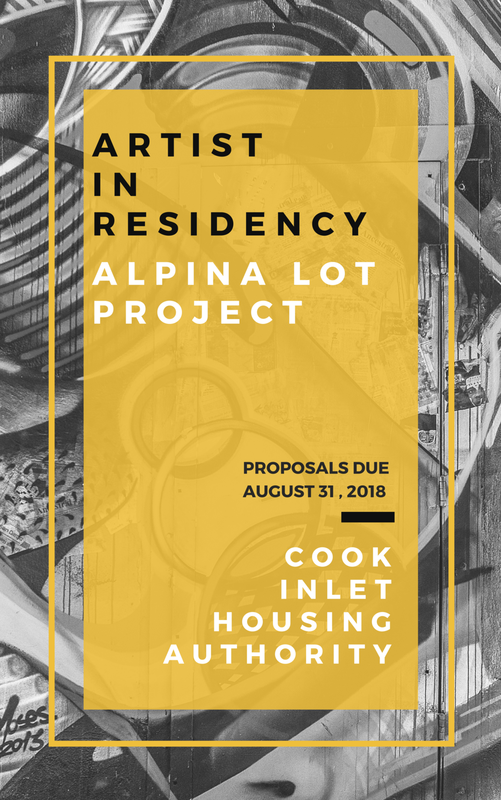 Cook Inlet Housing Authority (CIHA) is accepting proposals for a short-term artist-in-residency to celebrate reclamation and healing of the formerly contaminated site at 36th Ave. and Spenard Road. The former service station has been removed and remediation has taken place to clear the way for a future development. CIHA is seeking an artist partner to explore what it means for land to be reclaimed, especially in the context of this being Dena’ina land; how a future Fish Creek and Chugach Way can support community goals for connectivity; and how to help engage the community in celebration of the reclamation and a yet to be determined future development. Click here for the full AIR description and proposal instructions.